Are you thinking of running a half or full marathon, but don’t know how to train for such a long race? Or did you train for a race before and got hurt, sick or simply didn’t reach your goal. Monthly check-ins. Best for athletes who desire a custom plan, but have the experience and motivation to train without much need for interaction with a coach. Custom training plan with weekly check-ins, weekly workout reminders. Best for athletes who desire a custom plan with regular feedback & access to a personal coach. Another benefit of this program is that we can make adjustments to your plan based on your body’s adaptation to the training and your personal schedule. We know that there’s many free training schedules available online. When there’s so many coaches for hire, why should you consider hiring a certified coach? When people think of a running coach they may think elite athletes, but today coaching services are not just for elite athletes. In fact, most RRCA Certified Running Coaches do not coach elite athletes, instead, like me, they work directly with recreational athletes & busy professionals who are seeking to better their times, increase their distance or simply to get back into running after a break or recovering from an injury. People work with a coach for extra motivation to keep them on track. It can be very helpful to have someone at your side, regardless of your athletic ability or level of running experience. A certified coach will act as a dependable resource for those times when you need to ask for advice. To ensure that you have best experience, the RRCA recommends that you work with an RRCA Certified Running Coach to develop a personalized training plan as opposed to buying or using an off-the-shelf plan. Personalized plans take into account busy lifestyles for people. Personalized plans address speed goals as well as distance goals, and a certified coach will help you develop realistic goals ​to help ensure you run injury free. In my experience, people look for different things from a running coach. Some clients want a coach who can be there in person as they train. I live in Camas, WA, just minutes from Portland, OR. I also travel weekly throughout the country (mostly Chicago and West). If you live in the Northwest, we can see each other regularly, otherwise it may be limited to 1-2 times per year, with the rest of our communication via phone, skype or e-mail. Others athletes prefer to use a coach online who will develop a custom, personalized training plan based on their goals, athletic ability, time constraints and information that they provide to the coach. Group coaching, is another option. I’m qualified to work with runners of all levels, but I specialize in working with busy middle age athletes. The most important thing about a running coach is that he or she is a good match for you and your goals. If you want, I’m happy to jump on the phone and take a few minutes to answer your questions, discuss my approach to coaching and my qualifications. Just send me an e-mail (dan <@> middleagemarathoner.com) and we’ll schedule a time. For times when you may need help because you’re injured or think you’re injured and need help coming back or if you simply want help with race strategy, a certified coach will understand what training you have recently completed, your goals and abilities. The bottomline is that a certified coach can help you with nearly every aspect of your running. I am certified with the RRCA and I have been a runner myself for over 39 years. I’ve been coaching middle age runners for the last 6+ years. I strongly recommend employing the services of a coach. I specialize in coaching busy middle age athletes of all abilities & experience levels. My custom training plans offer a tested and proven balance of training stress and recovery. The goal of each plan is to “dial in” your performance gains so you have the best chance to reach your goals. Be fully prepared both physically and mentally for your race. Feel strong, fresh and confident that you are ready to achieve your goal of completing a marathon. Be able to pace correctly, so you can reach your goal time. Be excited to race because you got the most out of your training miles and your body is now fully adapted to the increased workload of running 26.2 miles. It doesn’t matter if you’re fast or slow, in shape, out of shape, total beginner or experienced runner, I offer 2 very affordable programs that make running fun & enjoyable. I have helped many runners get to the starting line fresh, fit and ready to reach their goals and ultimately the finish line faster and with a smile on their face. Although most people want help training for 1/2 and full marathons, I offer training schedules for athletes training to compete in any race from 5k to a marathon. Both programs are tailored to your athletic ability, personal schedule, goals and your specific race based on what you tell me. All I ask is that you have a goal in mind (whether it be finishing a certain distance or acheiving a certain time) and some determination to reach that goal. If you’re not sure how to set an achievable goal, I can help. Think of me as your trusted partner who is devoted to providing you with the personal attention you need to achieve your goals. The athlete / coach relationship starts with great communication. Whether it’s by phone, e-mail or skype, I’m available to help you achieve your goals. 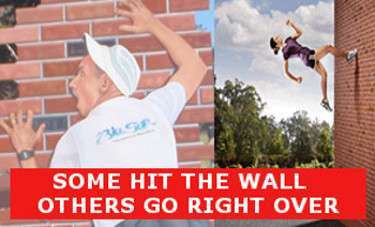 If you want to blast through your wall of pain, you need an easy to follow plan that contains not only breakthrough workouts that are suited to your abilities. But also much more. I provide a complete blue-print to your success that includes quality runs and workouts at specific paces that produce real gains in speed, endurance, and running pace. I can show you how to combine simple cross training/strength workouts with smart nutrition and injury prevention strategies. Since 2010, I have used my training plan that incorporates years of experience and knowledge. I’m also an RRCA Certified Coach. 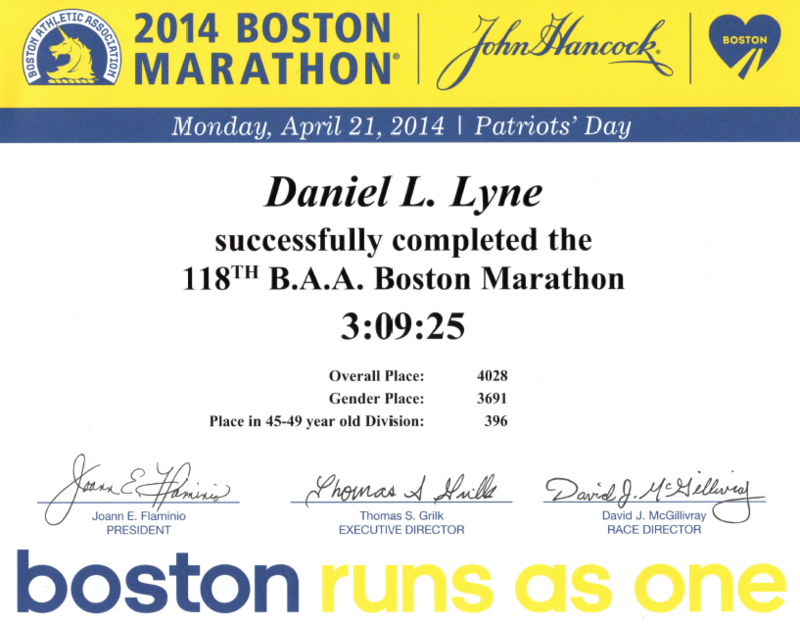 The results are that I ran the 2013 and 2014 Boston Marathons in 3:05 and 3:09 respectively. Some other marathons that I have recently completed include Chicago and Portland, OR. All of my finish times from these marathons easily qualified me for the Boston Marathon by 15+ minutes. I continue to use my plans & expertise to help others train for both 1/2 and full marathons. 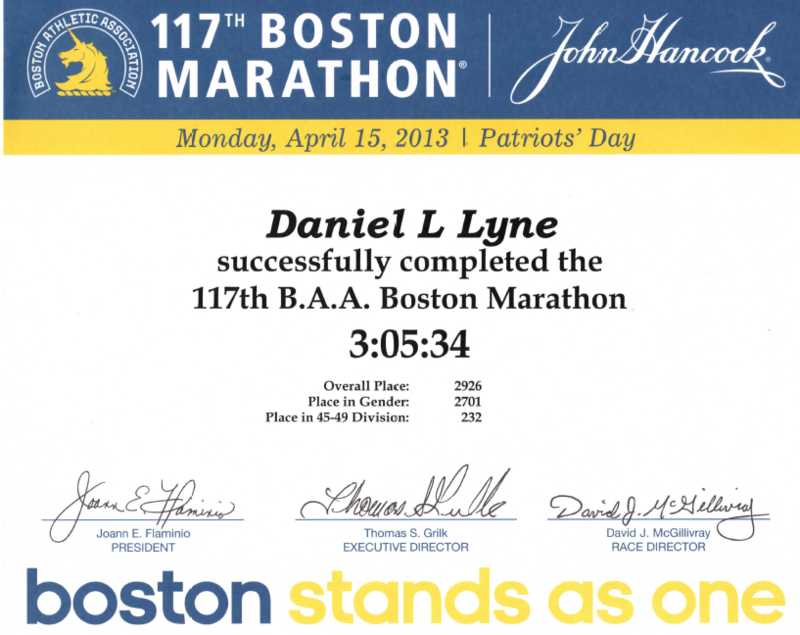 These recent Boston Marathon finish certificates are proof that my system works. Let me help you reach your goals. 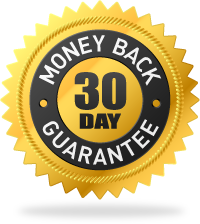 I’m confident that you can’t get more value from any other program than what I’m offering. Take a new action to get a new result. Get prepared for your next race and feel strong, healthy and ready to reach your goal on Race Day. Sign up for either the Custom Training Plan or Personalized Coaching. so you can enjoy your marathon experience.